We’d love your help. Let us know what’s wrong with this preview of Dark Water by T.W. Lawless. Peter Clancy is back. Back in Queensland’s Far North, that is—the place he’s spent a lifetime trying to leave. Clancy couldn’t refuse his ‘uncle’ Sam’s insistence he ‘do something’ about the destruction of the family graveyard and the threat to the sacred sites of Sam’s ancestors from the new mine operations at Clarkes Flat. And when Clancy discovers his old nemesis Max Hil Peter Clancy is back. Back in Queensland’s Far North, that is—the place he’s spent a lifetime trying to leave. Clancy couldn’t refuse his ‘uncle’ Sam’s insistence he ‘do something’ about the destruction of the family graveyard and the threat to the sacred sites of Sam’s ancestors from the new mine operations at Clarkes Flat. And when Clancy discovers his old nemesis Max Hillard is in deep with the mining company, he’s more than keen to use his journalism skills to stir up bad publicity for the mine. To ask other readers questions about Dark Water, please sign up. Peter Clancy is about to leave on a trip to a quiet place to write a book about his journalistic prowess when he receives a call from a family tie in Australia. Sam won't tell him the reason, but it is crucial. When he arrives, nothing seems to have changed from his home township that he was 'Run out' of years ago, and there is still hostility by the ex-sheriff now politician festering. A project that Sam is in an uproar over that politician is in the middle. Peter evaluates the situation with Sam’s help and decides to use his abilities and goes to the town's newspaper to write an article denouncing the project. All hell breaks out when it is published leading to riots, more murders, and upsetting corrupt people that are behind the project. 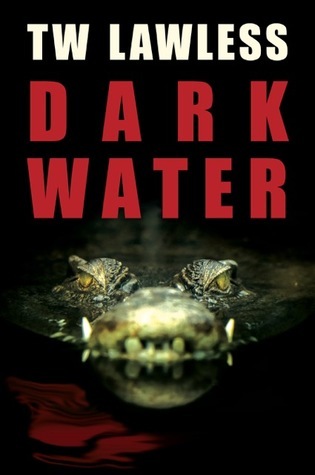 How they resolve problems 'Down under,' is interwoven throughout this story to the 'Bloody end' in the Dark Waters of crocodile infested Outback. The suspense and intrigue will keep the reader involved to that end. I enjoyed the characters that will lead the reader into the next book in this series. However, the novel stands on its own. It is straightforward prose with Aussie humor and 'Way of life' examples. I really enjoyed the individuality Lawless brought to this novel. It manages to set itsself apart from other Mystery novels I've read recently. Australia, Crocodiles, and so many other aspects that I am not familiar with, but thoroughly enjoyed getting lost in and learning about. A wonderful cast of characters and a mystery that will keep you on your toes Get your thinking cap ready and make sure you don't have any pets that can make sudden noises while reading, this one may make you a bit jumpy. A big thank you to T.W. Lawless for sending me a copy of this book! Wow, this was a great story! Especially towards the ending it gets exciting. Edge of my seat stuff. Loved that Sam was back, as well as a maybe not so loved character (understatement). I really enjoyed this book (and would still love to see this be made into a tv miniseries). Journalist Peter Clancy is on leave from his San Francisco newspaper while he composes his autobiography. But that's not going well--not going at all--and he is anxious to return to journalism. Summoned home to Queensland, Australia, by an Aboriginal friend formerly employed on the Clancy ranch, and now he has plenty to investigate, including murders. I was born and raised in northern Australia, spending my formative years on family cattle stations. I am proudly of Irish, Scottish, English and Iberian ancestry. I was a Registered Nurse for nearly thirty years but after a major health crisis in 2011, decided to follow my passion of becoming an author. I am the author of the Amazon best- selling, multi-award nominated Peter Clancy series. There are currently three books in the series with a fourth and fifth due in 2018/ 2019. I am currently writing a thriller set during World War Two. I am passionate about writing, history, culture, music and life. My wife, Kay Bell, is also a best-selling author and we operate an independent publisher named Campanile Publishing. Subscribe to our email list for the latest news, events and offerings. Always remember, whether you're a reader or a writer, imagination is just the beginning.